Tyga Performance uses a number of different shipping services and couriers to suit all budgets and requirements, these include UPS, FedEx, EMS and AIRMAIL. We also provide free airmail shipping on some selected items which are clearly marked as such. Occasionally we use another method if the customer gives us special instructions to do so. We know that the cost of shipping is a concern for most of our customers and we do everything we can to reduce this cost. Firstly, our website utilizes a sophisticated shipping module. Unlike many other websites, our system accurately calculates the cost of shipping your order based on weight and size of the parts packed together in one shipment as well as the box weight used to ship the whole order. It does not simply add the cost of each part as shipped by itself or charges a fixed charge as some other less sophisticated systems do. By accurately assessing what is in the cart, we can pass on any savings through consolidation of multiple item orders to our customers. This way, we save you money and hopefully we benefit too by more orders. In addition to this shipping module, we have negotiated hard with courier partners to get them to give us the best possible discounts way below the full rates. In turn, we pass these discounts on to you, again, to encourage more shopping on our site and give you the best possible value. Of course, to be able to give you the best deal, we also need to be able to provide safe and efficient packing custom made for every order. Our experienced team of packers carefully wrap every part in paper/and or bubble wrap before placing it into sturdy polystyrene lined cardboard boxes to make sure your shipment is fully protected provide adequate protection while keeping shipping costs to a minimum. In the vast majority of cases, the shipping amount charged is sufficient to cover the costs we have to pay to the couriers, and even when it is not, in most cases we will absorb any difference. Very occasionally, the calculation will be substantially different to the actual amount it costs us to ship the order. In this case, you will be notified and if the shipping is not enough, we will give you the choice of paying the balance or refunding you in full. If the shipping payment was too high, we will give you the choice of a refund of the difference between the actual shipping cost and what you paid, or a credit note for your next purchase. As mentioned above, our website offers you the choice of courier. Shipping by UPS and FedEx usually takes two to three working days to most destinations in Europe, Asia, USA or Australasia. 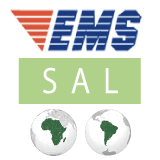 EMS takes a little longer at around three to five working days and AIRMAIL is typically 2-3 weeks but can be as long as 5 weeks. When selecting your shipping choice, bear in mind that there is not always a clear winner, some services might be cheaper but slower than others. Other times, there is a clear winner, it really depends on so many factors so it is up to you to decide. One thing we request is that you do not complain to us if a service is slow if you choose a slow service to ship your order. 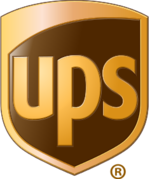 If in doubt or working to a deadline, always select a fast service such as UPS or FedEx. Both the weight and the size of the shipment will affect the total price of shipping. 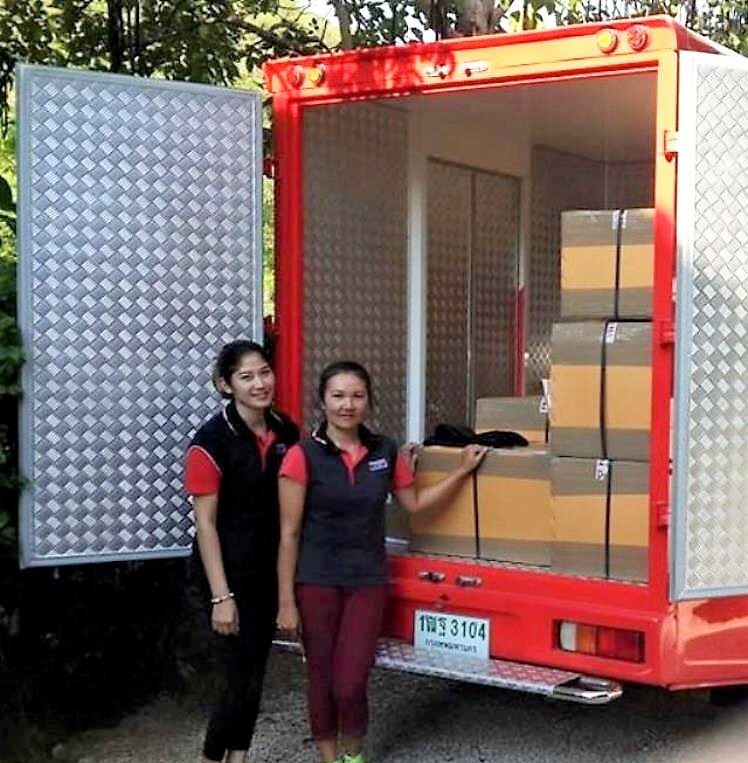 We therefore consolidate shipments into as few boxes as possible to keep shipping costs to an absolute minimum. In most cases, your shipping charge will be shown. However, if the shipment is over 20 kg. gross, only UPS and FedEx charges will be shown. EMS and AIRMAIL charges will not be shown. This is because EMS and AIRMAIL has a weight limit of 20 kg. and the system is not smart enough to split your order into smaller orders. You have a choice if this happens, either make two smaller orders or leave the parts in your cart and send us an email and we will be happy to provide you with an accurate shipping quote by AIRMAIL and EMS for the entire order. We always do our best to make sure you get the best value for money on your shipping charges. As mentioned above, our experienced team of packers carefully wrap every part in paper/and or bubble wrap before placing it into sturdy cardboard boxes to make sure your shipment is fully protected. Each box is labelled fragile. If you have any specific instructions regarding importation, duty or invoices, please be sure to let us know before the order is shipped. Once the order has left our premises, it is not possible to edit, remove or add any additional supporting documents. With regard to value, remember if in the unlikely event of any damage or loss, then this can only be settled with the courier to the value declared on the box in the event of a claim. In the first day or two, for EMS and AIRMAIL shipment, here are often delays by the courier in getting the tracking number in the system and this is nothing to worry about. Let us know if the number is not in the system after this period. Please also note that, you the customer, are responsible for all charges at destination. This policy is in line with international business practices and we cannot predict what these charges are and you should request for that information with the relevant government bodies concerned. In our experience, shipments to the US and some other countries do not have to pay any duty, however for shipments to the EU, Australia (if declared over 1000 Aus$), New Zealand, Canada, Korea and Japan, there may be duty to pay. The exact amount varies and, if you are lucky, you might not have to pay duty at all. It is difficult to predict and not something we are expert in. It is up to you to make sure you are aware of any import duty or taxes which are payable on goods bought from us and we cannot accept any responsibility for any payments charged. If you are not satisfied with a part we send you, please contact us (with photos if necessary) and we will investigate the nature of your complaint. Each case will be decided on by its own merits. If we decide to replace the part, you will be asked to return the defective part at your own cost and the replacement will be sent to you on receipt of the returned part. No refunds are possible. Tyga will not pay for the intallation of replacement parts. We are not responsible for any items lost or damaged during transit but we will work with you to find a solution that is satisfactory for all concerned. Please remember, we have no more control over the handling of your parts than you do once they leave our premises. Through our staffs expertise in packing and investing in the correct materials we have reduced the level of damage claims to well below 1%, however if you are unlucky and your item is damaged when you receive it, you should file a claim with your local branch of the courier immediately If the box shows extensive damage on the outside then you should not accept the package and discuss with the person delivering the package as to the correct process in such cases. After receiving your order, it is necessary to inspect the order to make sure it is complete and received in good order. All items are careful checked for quality before leaving our premises and should be free of defects. If you have a complaint about a product, notify us immediately. We will discuss the nature of the complaint and settle the claim as we see fit. We may request photographic or other proof. Claims for damaged or defective goods may only be made within seven days of receipt. If it has been a while since your item was shipped and you still have not received it, we will not under any circumstances provide any refunds for item 'lost' during shipment without first investigating the nature of the claim. This will take a minimum of 30 days before we are able to make a decision until the courier has accepted the order has been lost. We will work with you in the intervening period to provide you with any updates and news.